Thank you for the information! This is something that I just “struggled” with straight on the M Query side manually. Nice to see this feature now automated. It is odd that it was not included in the “Feature summary” blog post. This functionality is very awesome and makes new fantastic transitions very easy. Hello Chris! Thanks for the post! By the way: how do you get the code of built in functions? You can’t, as far as I know. If my understanding is correct, this new function may be an elegant replacement. Actually scrap that, nope, this won’t work unfortunately! I have imported data into Power Query through connecting a folder. That folder houses 20 Excel files. Now when after combining the data therein, I am applying transformation steps – at each step it downloads the entire folder again. The process becomes too slow after I merges this query with other queries – at each step of transformation, Power Query editor downloads all the files. Am I missing something here? Is there a way out to apply transformation instantly and faster? Unfortunately, Excel files are the slowest possible data source and I don’t think there is much you can do about it. 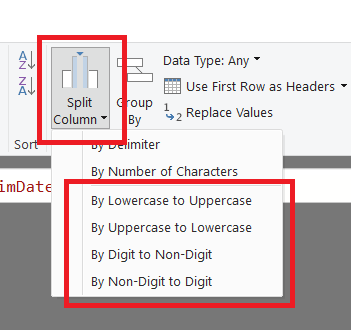 Make sure you disable data previews, as discussed here: https://blog.crossjoin.co.uk/2016/12/05/power-query-power-bi-and-the-allow-data-preview-to-download-in-the-background-option/ this might speed things up a bit.